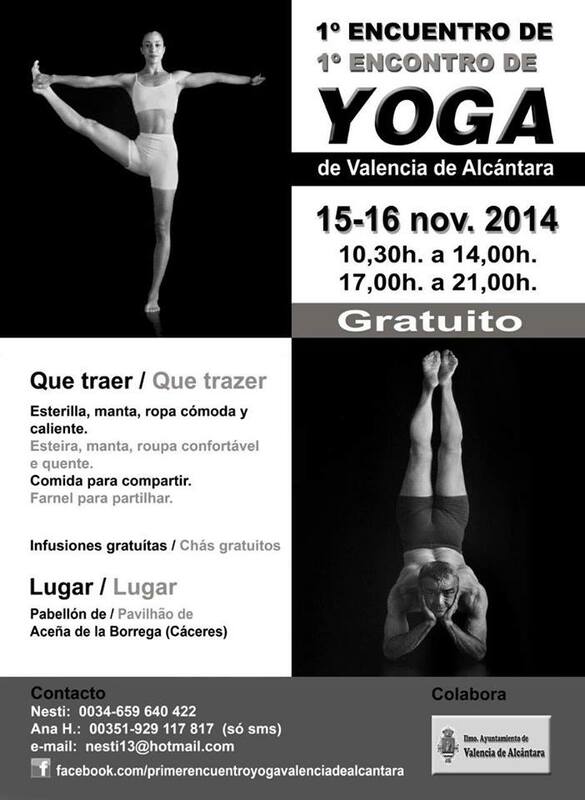 Together with 7 other professional yoga-teachers Loes Steenhuis will teach at the very first -Yoga de Valencia de Alcántara- event, organised by Ernesto Martin and Ana H. Delgado. This wonderful fresh initiative will be in Aceña de la Borrega in Spain. A beautiful green little mountain village in the middle of nature, close to the Portuguese border and just 30 minutes from Castelo de Vide. The entrance for this yoga-event will be FREE. Just bring your friends and your yogamat. The event is open for beginners and experienced practitioners. Just come and feel free to experience!